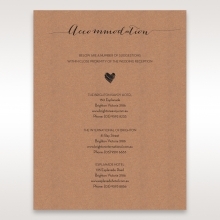 What a great invitation for a country wedding! 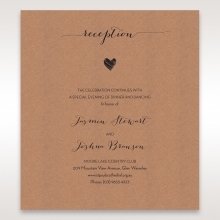 This rustic styling is the epitome of everything casual and romantic. 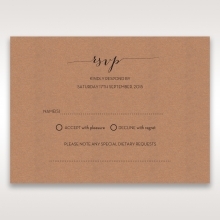 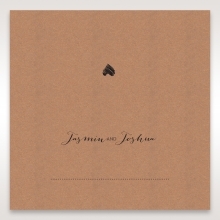 The warm brown insert tucks neatly into upper and lower tabs on a white base card. 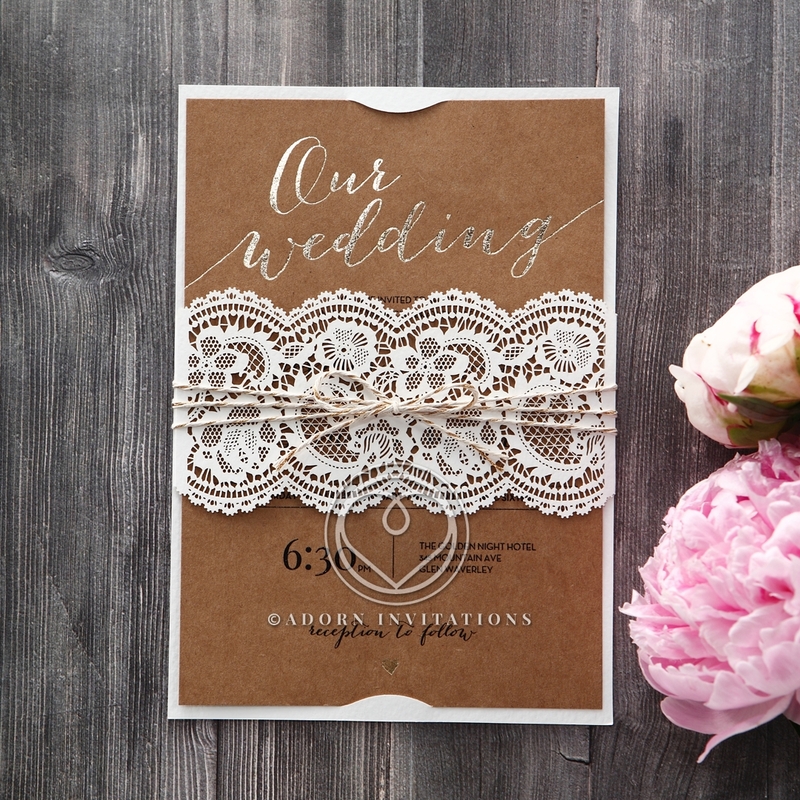 B Wedding's own laser cut technology provides a lace-patterned cut band to hold the insert in place, and the entire package is topped off with triple-wrapped twine. 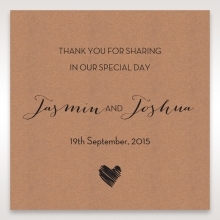 Above the lace, you see the heading printed in a trendy script. 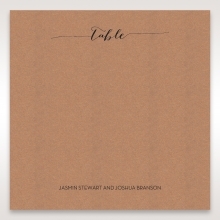 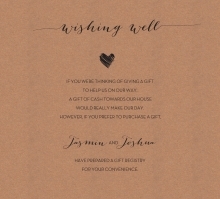 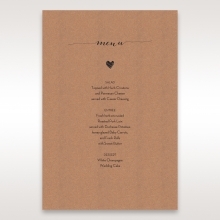 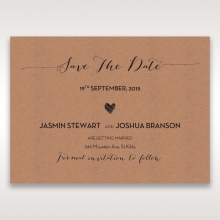 The text, layout, fonts, and wording are all customizable, and the wedding details are printed in raised ink. 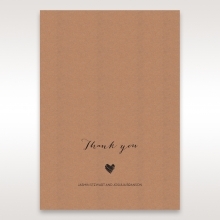 The Stationery Suite is also printed on high quality craft paper.